Eye Care Center of Waverly is an optometric office where we strive to provide compassionate, professional care to all of our patients. We strive to provide the best staff and equipment to ensure that you get the best care possible! Welcome to Eye Care Center of Waverly, where we strive to provide compassionate, professional care to all of our patients. 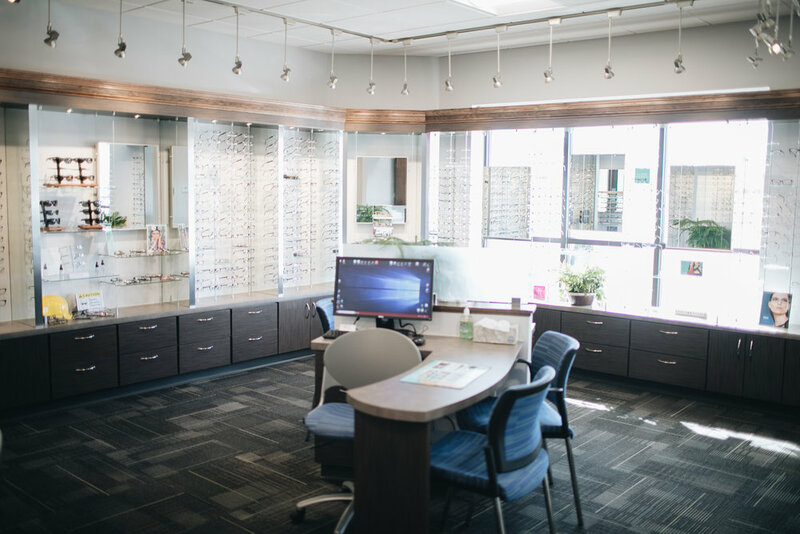 Whether you are coming in for a routine eye exam or to get new glasses, we provide the best staff and equipment to ensure that you get the best care possible! Get in touch with us to set up an appointment, or use the contact form at the bottom of this page to see how else we can help! Larry Van Daalen has been practicing for almost 30 years! Larry and the rest of the team are focused on providing the best care while maintaining a personal and relational approach to each and every patient! We do comprehensive exams that include functional and sensory tests, refractive testing and extensive tests for various eye conditions and disorders. This includes checks for glaucoma, cataracts, macular degeneration, diabetic retinopathy, retinal detachments, as well as other common and unusual problems. Our goal is to give you the best vision possible for your needs and lifestyle. We perform comprehensive or specialized exams for suspected, emerging or long-standing medical conditions from glaucoma and cataracts to dry eye and ocular allergies. Each year we fit hundreds of patients in various contact lenses, such as colored, high power, multifocal, and toric (for astigmatism). Although contact lenses are not for everyone, we have successfully fit many patients who failed previously or were previously told that they could not wear contact lenses.